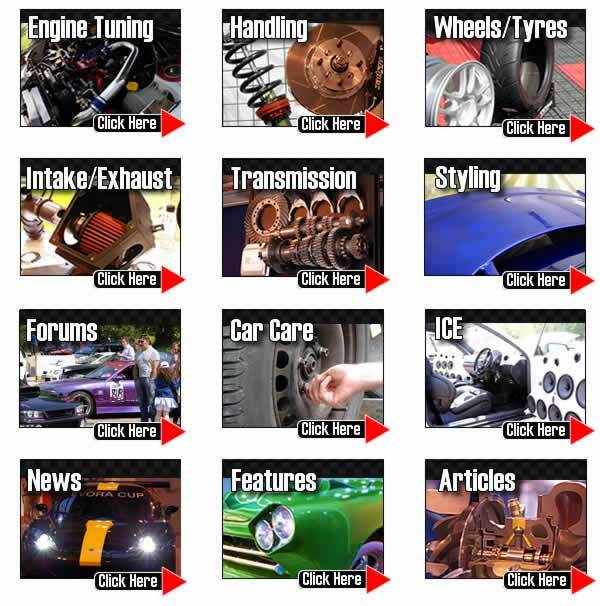 TorqueCars - the BEST car tuning & styling guide! At TorqueCars - we only talk cars! We're serious about car performance tuning & are real car enthusiasts. Always independent and unbiased both, in our articles, and the advice we give. Please join us in our friendly car forums to get involved in our friendly community after you've had a look around our site. We relaunched the forums in 2014 and they are growing really quickly, the new media gallery is very popular. Please register an account to get full access, and tell us about your project & plans for it. TorqueCars are home to the friendliest international car owners forum for all makes and models especially high performance cars. Join our car forums to get involved in the friendly and helpful community of people who have customized their cars. We are also the ultimate modified car tuning guide when it comes to performance upgrades and we give a common sense "how to customize my car guide". Find articles dedicated to cutting edge car styling and hot performance tuning with the latest modified car news & features with galleries and car specific projects along with updates on the very latest car tuning trends. The articles on TorqueCars are frequently updated and amended as new modifications become available so check back frequently. Recent additions include carbon fiber, cryogenic treatments, twin scroll turbos and twincharging. Things rarely stand still in the world of car tuning :- ECU technology, twin scroll turbos, carbon fiber and cryogenics have pushed the boundaries of engine tuning in recent years. We take an in depth look at the simplest tuning techniques with most people wanting higher torque cars but we also look at essential handling and popular styling mods. We expose the common pitfalls and feature the latest cars, car styling trends and news about tuning cars and the automotive industry. There are many pitfalls to car modification and customizing your car, and we get to see and hear about some modified cars that turned out to be positively dangerous. Custom cars are built to reflect the personality, driving style and preferences of the owner and this is achieved through the addition of modified car parts to create a custom car set up that meets a drivers individual requirements. Find out what Torque is in a car and how it compares to BHP and how to customize your car to make more power. Below are some links to our latest updates and articles in our most popular categories. As you can guess from the use of the word Cryo – it involves the cooling and heating of the engine block to temper the metal changing its structure. It is possible to blow huge amounts of money on car modifications, ruining your automobile and ending up with a fuel drinking stodgy bone shaker that looks like a tacky Christmas tree from last year. This site is intended to assist you in deciding which mods to do and gives a realistic opinion of what the car will end up like with various levels of modification and gives a common sense guide on the pitfalls to avoid and common mistakes. Track cars are rebuilt each time they are raced and they are set up for optimum conditions on the flat surface of the track. When it comes to modifying a daily runaround car or hot hatch - we have to tune and apply modifications to our cars to work for a year without a service, run over pot holes and speed humps and cope with a variety of weather conditions and loads. We needed to establish a sensible how to guide for car tuning modifications (car mods) that will cope well with everyday driving but help you to get the maximum enjoyment from it. Styling modifications and car styling trends frequently change, we keep you up to date with the latest styling parts, modifications and tips with practical advice. We also have a new UK version of Torque Cars biased toward our UK users. Many thanks to entrypoint for our web hosting and SEO. My motivation for creating this site was the misleading claims made by the manufacturers of performance parts. They often quote power gains of 30bhp and in reality this was achieved on a v8 engine in ideal lab conditions. In the real world some of these mods can rob you of low down power and Torque. The first car mods our members do are usually alloy wheels, intake and exhaust and suspension upgrades so you might want to start with these pages.